Bob Canace is a hydrogeologist with over 30 years professional experience. He was employed by the New Jersey Geological Survey from 1979 to 2008, where he served as section chief of the Ground Water Resources program, specializing in regional water resource evaluation, impacts of water use on the environment, and development of methods and models to assess water supply sustainability. Bob currently serves as the Program Officer for Land Conservation for the Peter and Carmen Lucia Buck Foundation of New York, which provides support to land conservation organizations in the Hudson River Valley of New York and in Connecticut. His private consulting practice – Conservation Advising Services – assists municipalities and private individuals with preserving open space and farmland. Bob and his wife Cindy have a 10-acre horse farm in Frelinghuysen. George Schaberg has been an RVC Trustee since 2013. He is an avid dog walker, hiker, mountain biker, kayaker, skier and snowshoer. Passionate about rural properties and land, he worked with The Nature Conservancy doing habitat restoration, volunteer coordinating, project management and educational outreach. He worked as Director of Conservation and Stewardship for the Orange County Land Trust in New York. He currently works for Raritan Headwaters Association, implementing their land preservation and stewardship programs, manages their preserves, oversees their easement monitoring program, including landowner outreach and annual site visits, coordinates habitat restoration / improvement and enhancement projects and works with conservation partners. He has a NJ Real Estate License, a Master’s degree in Business Management from St. Michaels College, and is a volunteer with Pass-It-Along. If he’s not outside doing something fun or walking the dog, he likes to keep busy and be involved in the community. Jason has been an RVC Trustee since 2011. He is a property and casualty consulting actuary in New York, having received his BSc in business administration from New York University’s Leonard N. Stern School of Business. Jason is an avid hiker, fisherman, birder, and conservationist, and looks forward to helping preserve more land in the region. Dennis’ passion has always been the outdoors and nature. He is a former member of the Knowlton Township Environmental Commission and wrote a nature column in the former Knowlton News for four years. Dennis is a self-taught naturalist and has been leading bird and nature walks for many different organizations for the past 25 years. After 20 years in the information technology field Dennis decided to pursue his passion in the outdoors field and became the Stewardship Manager for the Land Conservancy of NJ. His interests are birding, hiking, traveling, gardening, and photography. Dennis has traveled to eleven countries on birding and nature trips. He has been on the RVC Board of Trustees since 1998. Christine Hepburn is a former research psychologist who for many years has served on the boards of various environmental organizations and founded a land use advocacy group in her former town of Madison. She also served on Madison’s Zoning Board, Planning Board, and Environmental Commission. As the first Chair of Madison's Open Space, Recreation and Historic Preservation Trust Fund, Chris worked on open space acquisitions and the protection of 18th century structures. Since 2008, Chris has been devoted to restoring wildlife habitat on her property in Hardwick, where she found the home of her dreams. She and her husband worked with RVC to permanently protect their forested land and Chris hopes to encourage others to protect and steward their land. Joel McGreen is a retired engineer. He worked for over 33 years as a project engineer and business manager at Picatinny Arsenal in Dover, NJ. 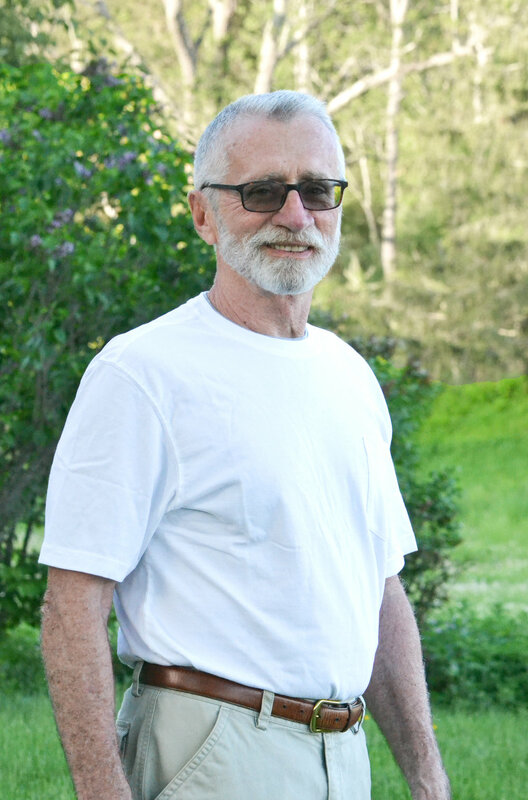 Since retiring, he has volunteered for various Blairstown committees including the Planning Board, Environmental Commission, Open Space Committee, and Agriculture Advisory Committee. As chairman of the Blairstown Open Space and Agriculture Advisory Committees for the past 10 years, Joel has helped preserve farmland and open space in Blairstown. He worked part time for the Land Conservancy of New Jersey from 2007 to 2009, managing Harmony and White Townships’ farmland preservation programs. He also worked part time as a personal fitness trainer from 2005 to 2009. He has been on the RVC Board of Trustees since 2001. Liz Marshall, who joined the RVC Board in 2016, is an attorney who handles a variety of civil matters with Richard Keiling’s law firm in Blairstown, NJ. She is a Jersey native and has lived in Warren County since 1992. An advocate of sustainable agriculture and healthy food, Liz is a trustee of the Community Supported Garden at Genesis Farm and a former employee of Genesis Farm. She volunteered for years at the Ridge and Valley Charter School, which her two children attended. Liz received a B.A. from Yale University and a J.D. from Rutgers Law School. Over the years she has enjoyed many a long walk along the beautiful trails of Warren County. Roman Osadca is a Chemical Engineer who worked for a Global Pharmaceutical Company for 35 years and was responsible for production, quality assurance, and global technical problem solving. He would then rush home to work on his family farm. Roman’s specialty is gourmet heirloom garlic and shallots, over 250 varieties, and beekeeping. Having lived through the energy crises of the 70’s, in 1984 he designed and built a house that is self sufficient in terms of solar heating, hot water, and photovoltaic electricity. Roman has been involved with RVC since the beginnings as a Trustee. He is also the VP and Secretary of the Hardwick Township Historical Society, which is developing the Vass House Farmstead Historic Site into a community cultural center. Roman is also involved with Genesis Farm, Foodshed Alliance, and Newton Transition Movement on agriculture, renewable energy, and sustainable community practices. He loves to read, write, ski, and play volleyball in his spare time. Sharon was so inspired by a life-changing wilderness trip to Montana that she abandoned a career as an editor and copywriter and returned to college to pursue a degree in Wildlife Ecology. She met her future husband and business partner, Wade, at Cook College, and both went on to earn graduate degrees from Rutgers University. For her doctoral dissertation Sharon studied the effects of forest fragmentation on breeding Ovenbirds. Capitalizing both on their degrees and on many years of field experience with the plants and animals of New Jersey, Sharon and Wade then established their own environmental consulting practice, Wander Ecological Consultants (WEC), in 1985. Since then they have conducted endangered species surveys, produced environmental impact statements, performed wetland delineation and permitting, developed mitigation and restoration plans, and provided a variety of other services to a diverse array of clients. As a partner in WEC, Sharon wrote the Natural Resource Inventory for Fredon Township. In the 1990s Sharon and Wade became particularly interested in butterflies, and have since been very active members of the North American Butterfly Association (NABA) – leading field trips and presenting programs for the North Jersey chapter and compiling the Springdale 4th of July count since 1992. As Director of the NABA Butterfly Count Program, Sharon edits the organization’s annual report for some 450 butterfly counts in the U.S., Canada, and Mexico. She and Wade are especially proud of the butterfly garden at their Fredon Township home, which has attracted a state-record 84 species. Sharon hopes put her knowledge of natural history and her interest in habitat restoration to constructive use for the Ridge and Valley Conservancy. Susi Tilley’s passion for the natural world developed during her time growing up in Switzerland where she spent holidays hiking or skiing in the mountains. After studying Business Administration and working for several years in the private sector, she moved to the United States in 1991, where she married her husband Rich and worked as Vice President of an entertainment lighting and staging company for the next 14 years. Prior to assuming the role as Executive Director of Ridge and Valley Conservancy Susi served as Development and Outreach Director from 2016-2017. Susi believes that building a strong conservation organization involves practicing community conservation by building partnerships with other people doing important community work. By connecting people to people, and people to land, her hope is to continue to expand preserved land in the Ridge and Valley Region of New Jersey. “If you want someone to gain an understanding and appreciation for land protection, expose them to the land, either through recreational activities or through working in it. It is the only way to understand the interconnectedness of all beings in nature. Only then can we bring everyone on board educating them about the importance of protecting land, water, plants and animals which habitat this beautiful area” Tilley concludes. Susi lives with her husband and three children in Hardwick, neighboring RVC’s preserves where she enjoys walking her dog, Roxy. She spends her time reading across a wide variety of subjects, practicing yoga with strong women, and enjoying her backyard with family and friends.